After purchasing a new iPhone 4S and enjoying all its features, now you should be looking for a case that could protect your pricey phone. Well, you are on the right page! Here, we will present you seven best Apple iPhone 4S covers that will save you from the worst nightmares — spider cracks on your device after it hits hard surface. We tried our best to pick those cases that look good and do not make your handset too heavy. Read on to know more. What can you a gift a cowboy who has everything? 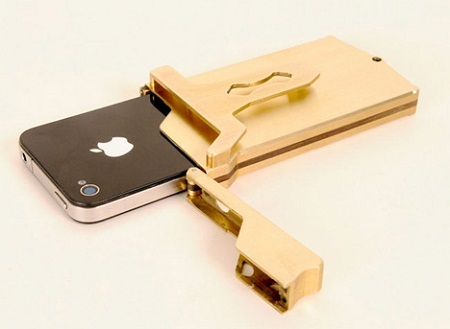 How about a brass iPhone holder? 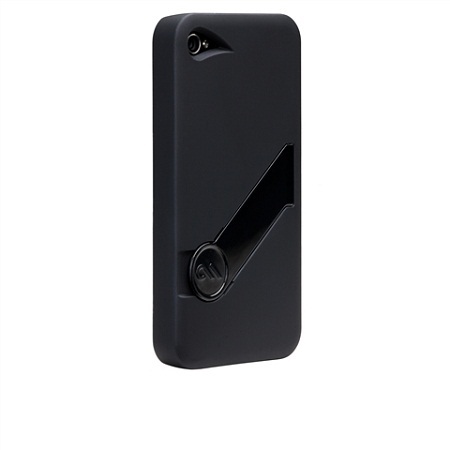 This latest aluminum or brass case can hold iPhone 4 or 4S and allows the user to display the iPhone either as a pocket holster or a belt buckle. Whatever the way is, the iPhone remains easily accessible as the top of the holder flips after a gentle pull. We are not sure if you would like to attach your iPhone with your belt; however, if you want to do so, you have the belt buckle iPhone 4 cases. 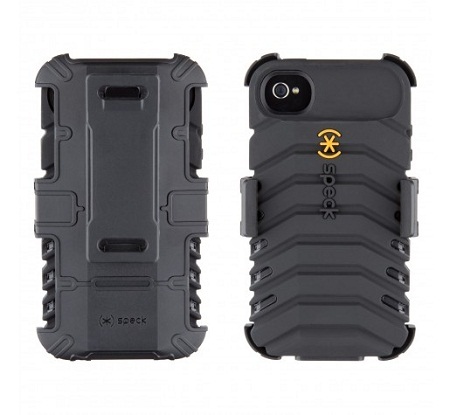 Defender is the latest series of iPhone casing by Otterbox. Practically, everyday use of this case is not possible but people who are involved in high impact activities can use it to protect their iPhone. The rugged case protects your precious bar from drops, dust, shocks and bumps. Defender covers the volume, home, wake/sleep buttons with its own overlays; each offering a satisfactory performance after a click. Its rubbery flaps protect phone’s audio jack, dock connector port and silent/ring switch. The case also ships with a belt holster that doubles as a stand while you watch videos. 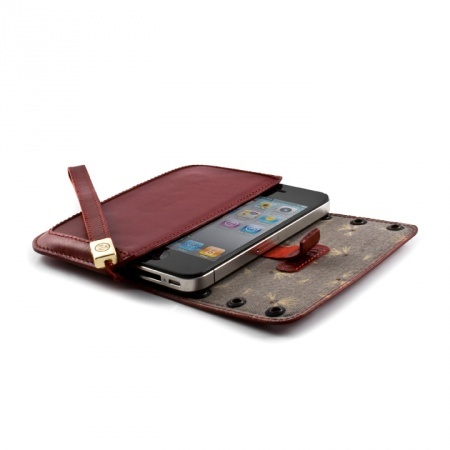 Carry your iPhone confidently with this rugged and durable Speck Touch Skin case. 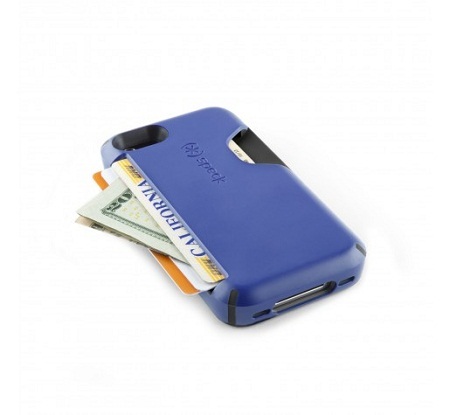 Its dual layered design protects your iPhone from any damage. The case has a rubberized exterior that provides a comfortable and firm grip while the detachable holster on the back also works as a stand. There is charging cut outs available in the case, so no need to remove it if you want to recharge the phone. It is available in black color only. Leave the wallet/purse at home next time you go out. This Candy Shell allows you to slash up to three cards in the built-in rubberized slot. Slide the cards inside it securely and push them out from the thumb release once you need them. It leaves the phone screen open, which makes it convenient to use. Matte finish strong outer shell of the case protects the phone from external impacts and gives a firm grip. The bezel of the case is somewhat raised and protects the phone even if it falls upside down. Apart from that, there are rubberized covers for all the buttons. The slim and sleek phone pouch has a magnetic closure flip, floral print lining and quality leather to fight against any scratches as well as bumps and a wrist wrap. It comes in two variants: red feminine and black masculine. Black version looks more practical while the red one emphasizes on looks, but whatever the colour is – it is bound to gain some attention. In both the versions, there are six metal eyelets and an attractive Kenzo logo on the flap. 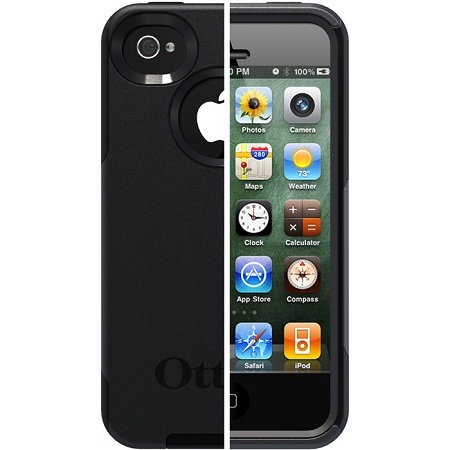 Overall, both of them bring something fresh and new to the iPhone case market. It is one of the bulkiest, but most protective cases in this list. 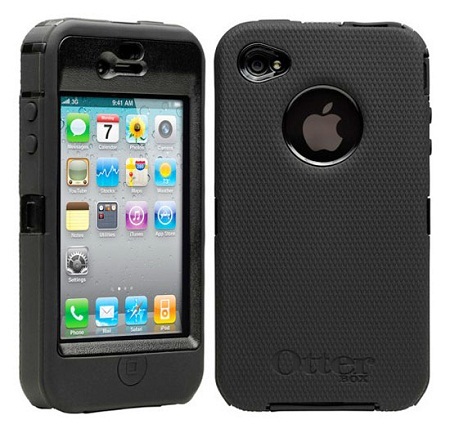 The case comes only in black color and has three layers of protection, including a screen protector. The screen protector saves the display from scratches and the leftover case fights from bumps as well as shocks. Overall, this is a perfect accessory for the iPhone in your everyday activities. This is one of the most slim, sleek, attractive and minimalist iPhone cases by Case Mate. Available in many colors, you have options for both men and women. 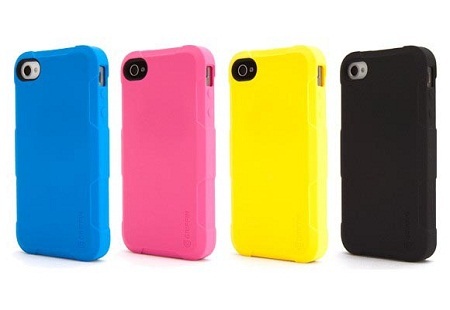 The case possesses shock absorbers capable of protecting the phone from almost any shock or bumps. Created from aircraft grade aluminium, it gives you access to all the ports and does not gives any problem while carrying it.